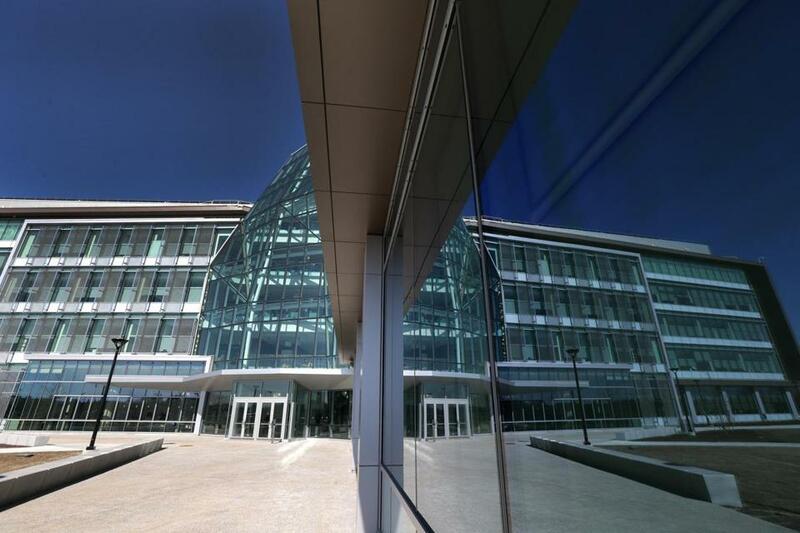 UMass Boston has gleaming new buildings and dorms — as well as hefty debts. What if the city took over the University of Massachusetts Boston? The thought has crossed Marty Walsh’s mind as the mayor watches the only public liberal arts university in Boston twist in the wind. It’s always something: deep cost cutting, the sale of the former Bayside Expo Center, and now fears that flagship UMass Amherst may run roughshod over its often-overlooked sibling. It’s a trial balloon if I’ve ever seen one. The mayor said he has not broached the idea with the UMass board, UMass president Marty Meehan, or Governor Charlie Baker. Walsh insists he’s not empire building but wonders how committed the state is to the Boston campus. Walsh believes (without much evidence that I can see) the city can run a university. Still, there’s precedent in New York City and San Francisco, two cities that have formed deep partnerships with public higher education. Of course, all I could think about is: Doesn’t Walsh already have one troubled school system to worry about? And good luck trying to pry the campus out of the hands of Meehan, who seems intent on not only expanding UMass but also maintaining full control. I don’t think Walsh will take over the Boston campus any time soon, but he’s making a big statement here. Nobody has more to lose or gain than the city when it comes to UMass Boston. Thriving economies, Boston’s in particular, hinge on a well-educated workforce. That means, now more than ever, the city needs UMass Boston to succeed, and its best champion may be the City of Boston. If Walsh’s comments feel out of the blue, they aren’t. They come after recent meetings with Meehan and UMass Boston interim chancellor Barry Mills. I’ve got to think UMass Amherst’s purchase of Mount Ida College in Newton is stoking Walsh’s fears. There was, for example, initial discussion that UMass Boston’s nursing program might move over to the Mount Ida campus. That idea has been nixed. But with all of UMass Boston’s struggles, Meehan isn’t ready to hand over the reins of the majority-minority campus — especially to the city. “The difficulties UMass Boston has been going through is frustrating for everyone,” Meehan said. Still, Meehan is hopeful about the Boston campus’s future once a new chancellor is chosen. “UMass Boston will turn the corner,” he predicted. The Boston campus is up to its eyeballs in debt — about $500 million, with interest payments of close to $25 million annually and likely to climb. While the campus has new buildings and will open dorms this fall, the cost to take down a crumbling garage is a constant threat to the budget. Walsh would like to find a way to take over the management of UMass without assuming its debt. That sounds like a nonstarter for the state, but if the city has a grand plan to foot the Boston campus’s looming bills, Meehan said he’s “open to it.” Or, he could just being diplomatic, not wanting to pick a fight with the mayor of Boston. Neither the City University of New York (CUNY) nor City College of San Francisco are managed by their city governments. But the municipalities work closely and even help fund the systems. In both New York and San Francisco, the state foots the bulk of their bills, but the cities have a shared sense of responsibility that you don’t see in the relationship between Boston and UMass. In New York City, the mayor and the governor each have appointees to the CUNY board. The city also kicks in about $400 million, or about 11 percent to the CUNY’s annual budget. In San Francisco, City College is an independent state entity but has deep ties with the city government and is part of its charter. In 2016, San Francisco voters passed a ballot initiative to raise taxes on luxury real estate sales so residents could attend City College tuition-free. I am told back when Tom Menino was mayor and Deval Patrick was governor, the City of Boston and UMass Boston had a much closer relationship. Menino was a UMass Boston alum, and Patrick believed in investing in an urban campus. There was a real sense that the future was bright for the Boston campus. That feeling is nowhere to be found today, yet the future of Boston is still inextricably linked with the future of UMass Boston. You can’t blame Walsh for wanting to get UMass Boston right, even if he has to do it himself.